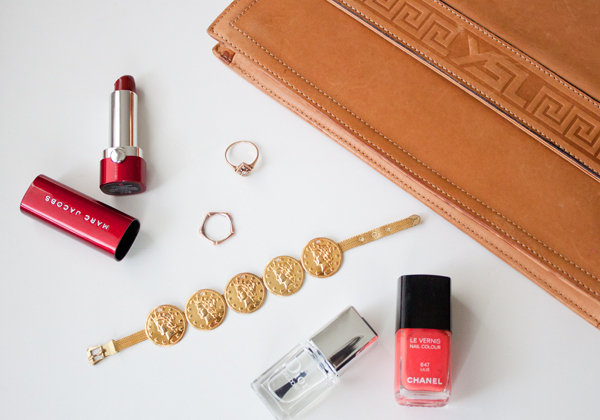 It seems as though I'm on a roll with the designer-inspired DIYs lately — last week was all about the Chanel giant pearl bracelet, and now I've moved on to Dolce & Gabbana's coin bracelet... Think it has something to do with my shopping ban? Anyway, this one's a breeze as soon as you track down the right supplies (Etsy is always a great option), so read on for full instructions! For this one I decided to use a mesh buckle bracelet that I had sourced on Etsy a few years ago, as well as some coins that I removed from a vintage necklace. 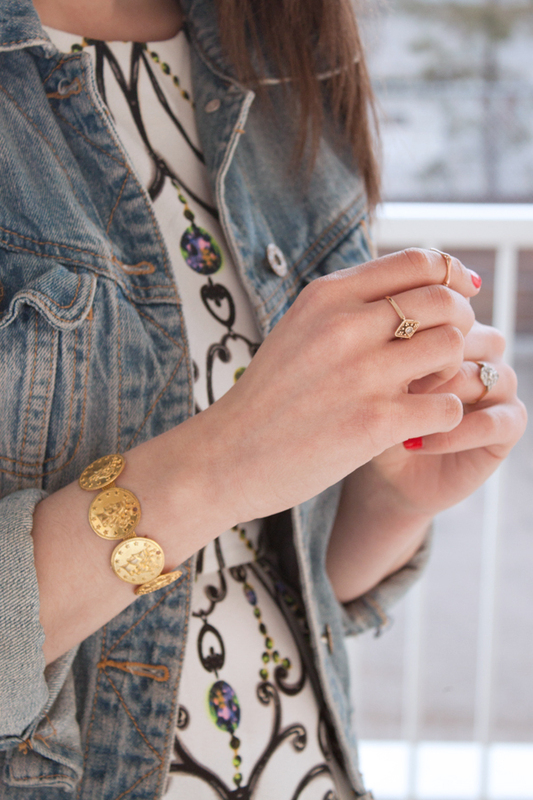 I happened to have all the materials sitting in my jewelry box, but if you're not a DIY supply hoarder like I am, you might have to do some shopping around — but don't worry, there are some great options linked in the supply list above! 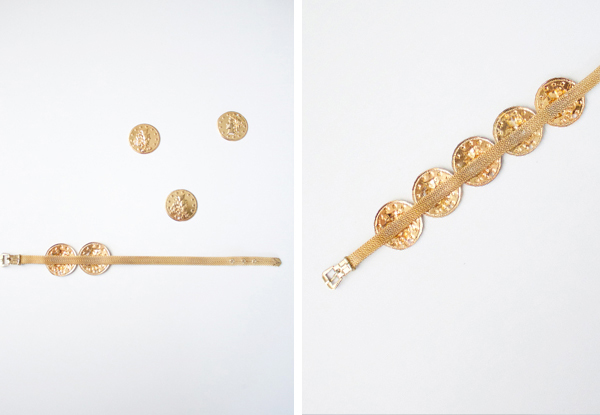 Start by measuring out how many coins can fit across the length of the bracelet, keeping in mind how much space the end of the bracelet will take up once it's on your wrist. 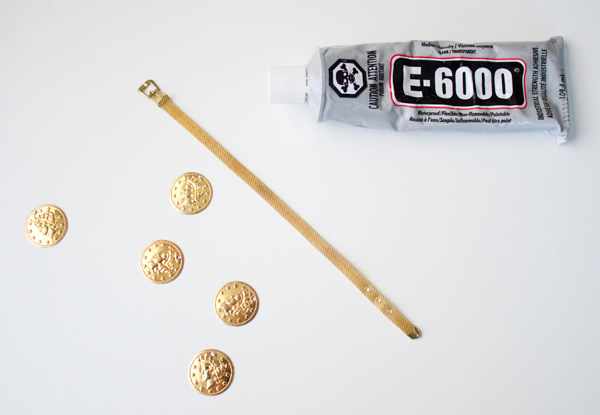 Using a generous amount of glue, secure each coin down by pressing firmly for about a minute. 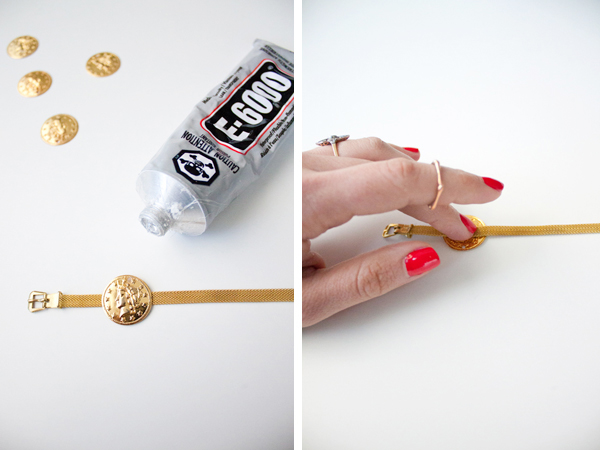 Once all the coins have been added, let the bracelet dry fully (at least 45 minutes) before wearing. I like this bracelet! Funny thing but I am on a coin jewelry kick...it started when I bought a silver coin vintage necklace and now I am hooked. 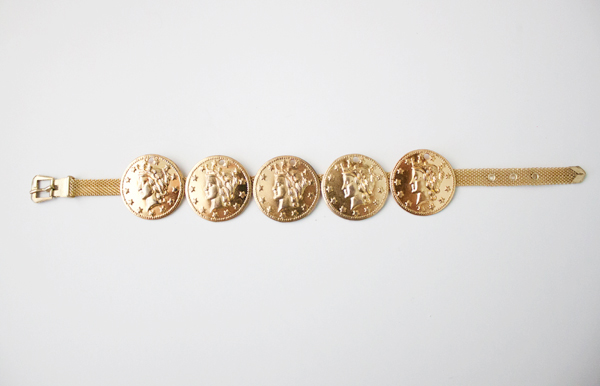 Would love to find a coin bracelet like yours as I am not very crafty. I love this bracelet! Awesom DIY and it came out great.